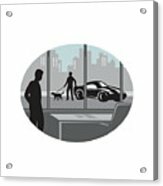 There are no comments for Office Worker Looking Through Window Oval Woodcut. Click here to post the first comment. 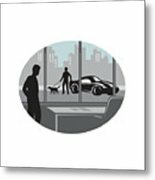 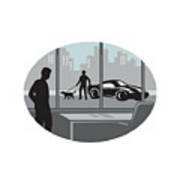 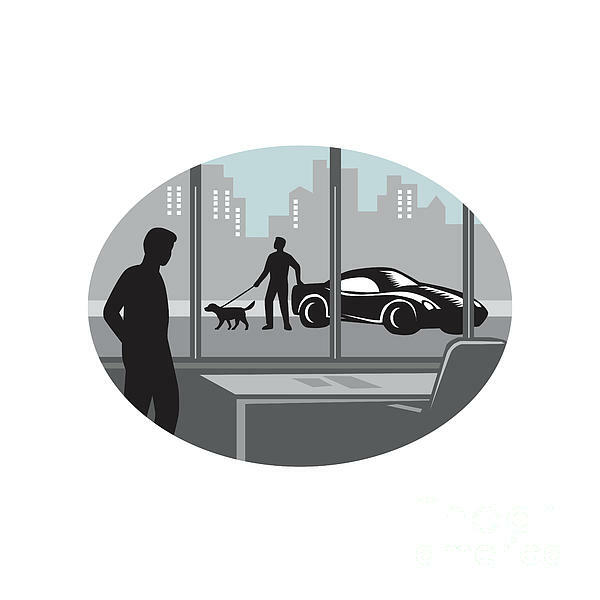 Illustratin of a man from inside an office looking through a window and seeing a person standing next to an exotic car with a well-groomed dog on a leash set inside oval shape with buildings in the background done in retro woodcut style.